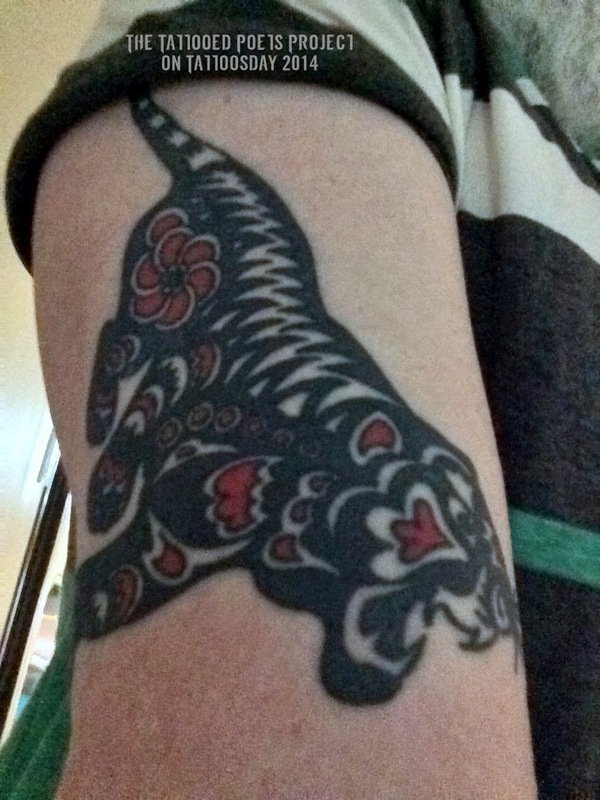 My tiger tattoo is based on a traditional Chinese paper-cut design and reflects all of the happiness I share with my amazing daughters, both of whom were both born in China. I showed an original image to Jason Monroe when he worked at Ink & Dagger in Decatur, GA, and asked him to make a few modifications. He added his own stylistic elements. Both the tiger and the color red are lucky for me. 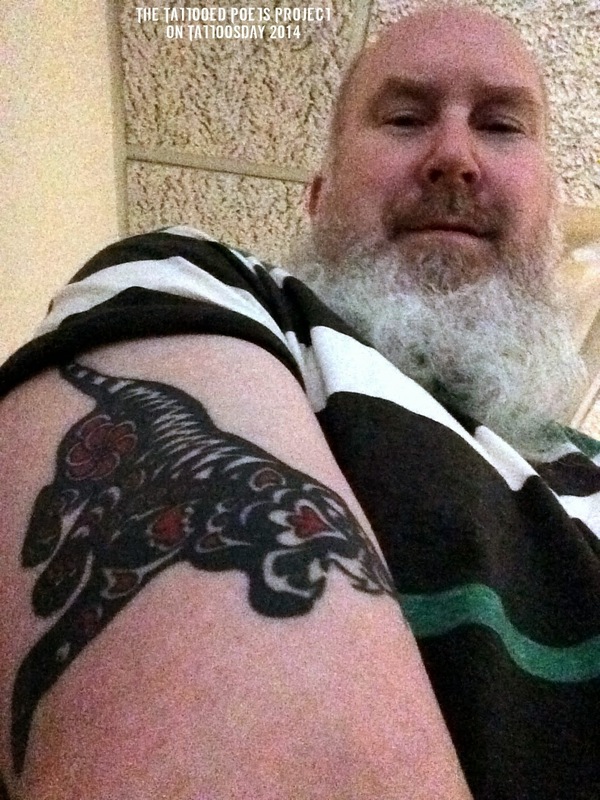 In a small world scenario, Bruce and I share something in common, in that I was tattooed by Jason Monroe last June in connection with a Sailor Jerry event in Brooklyn (as recounted here). Jason now works out of Three Kings Tattoo. A building just went up where my heart was—a dozen new floors filled with boxes. Isn't it strange that sugar (C12H22O11) comes from a plant, while salt (NaCl) is a mineral? I take vitamins and medicines, yes, but as far as I know, salt is the only inorganic thing I buy specifically to eat. Salt, like staples, I buy infrequently. Staples are often steel or zinc alloys, sometimes aluminum or brass. What do I need to super-compress in order to build an emerald? B, C, & E might help my memory. I used to staple reminders to my bath towels. Most inorganic compounds do not contain carbon. Therefore, Diamond Crystal Salt is a problematic product name. I often skip 13, like they do with elevators. It’s amazing how often a photograph misses the boat. Bruce Covey’s sixth book of poetry, Change Machine, will be published by Noemi Press next month (May, 2014). He lives in Atlanta, GA, where he publishes and edits Coconut Books and Coconut magazine and curates the What’s New in Poetry? reading series. Thanks to Bruce for contributing his tattoo and poem to the Tattooed Poets Project on Tattoosday!